When you have multiple email aliases associated with your Exchange or Office 365 based email account, it can be useful to know which email address it was sent to. However Outlook does not show this information. Use an Office 365 transport rule to modify the message subject so that emails sent to a particular email address can be easily recognised. 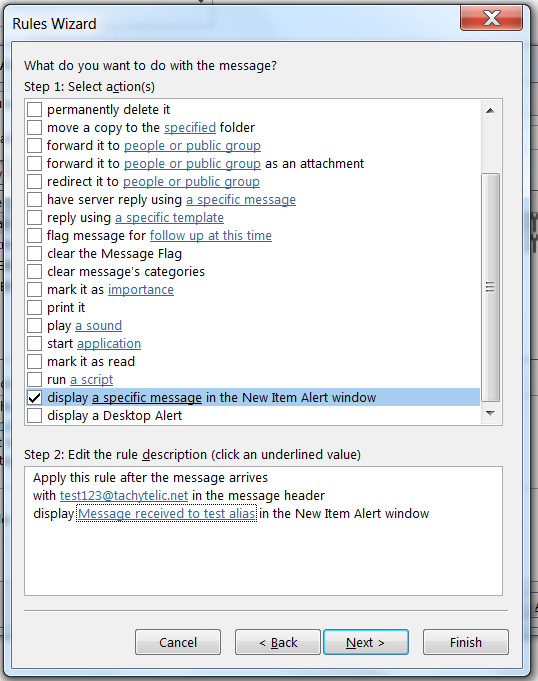 Use an Outlook rule to examine the message header and display an alert or perform some other action when an email to an alias is received. The advantage of using a transport rule is that the rule is always executed, it does not depend on the Outlook client running. This is useful because mobile devices or other clients will not execute any rules. Greater flexibility over what you want to do with the message. No need for Office 365 administrator rights to set up. 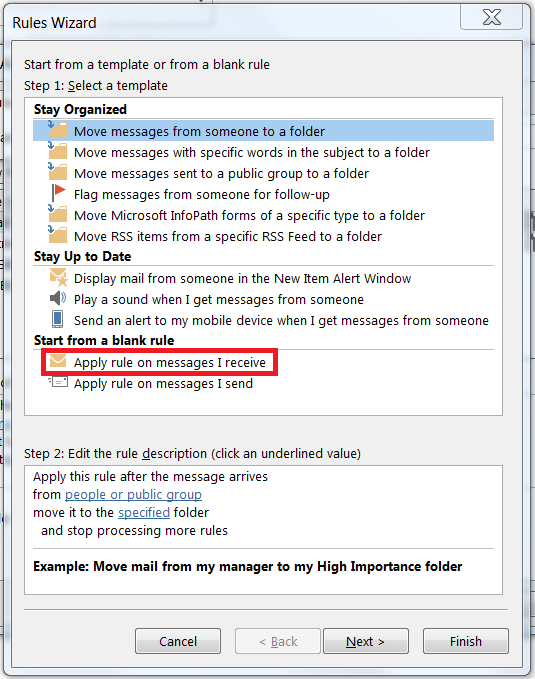 As the transport rule method has already been documented, this post is about how to use an Outlook rule to determine which email alias an email was sent to. Go to File and then “Manage Rules and Alerts” and then click on “New rule”. Click on “Apply rule on messages I receive” from the “Start from a blank rule” section and click Next. 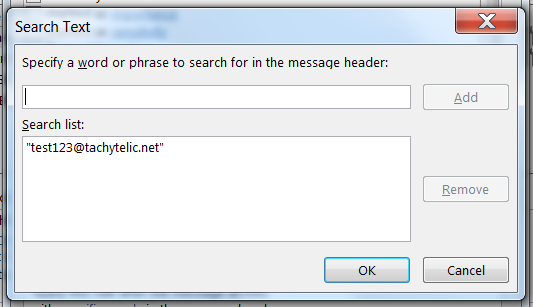 Choose “with specific words in the message header”. Type in the email address that you want to identify and click on “Add” and then click OK.
You will drop back to the main rule creation dialog box, click next. On this page you have lots of options about what to do with the identified message, the options are quite self explanatory. This means that when I receive an email to the alias specified, Outlook will show an alert to inform me. Finish creating the rule with any other options or exceptions that you require.